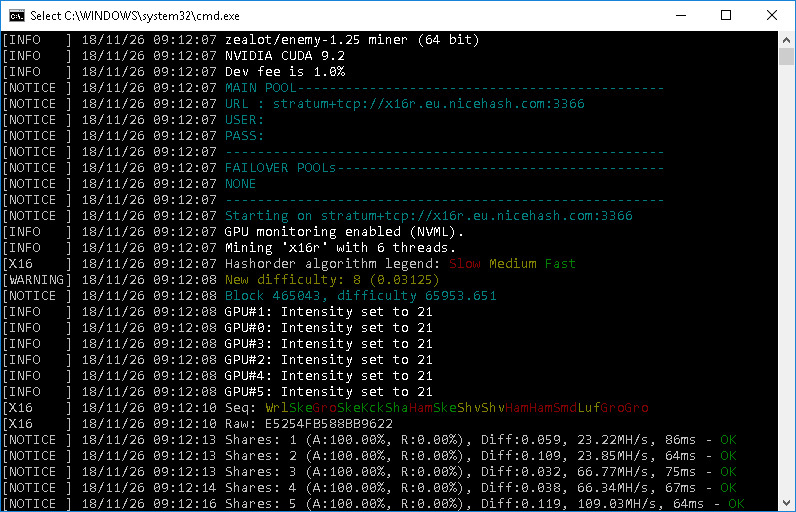 Another update for the z-enemy 1.25 Nvidia GPU miner that comes with additional performance increase for both the new Nvidia RTX 2080, RTX 2080 Ti and RTX 2070 GPUs with up to 10% or even more in some cases. There are of course also optimizations for the older GTX 1080 Ti, GTX 1080, GTX 1070 Ti and lower model numbers from the Pascal microarchitecture, though here the performance boost is lower – just about %3-7%, depending on your video cards. 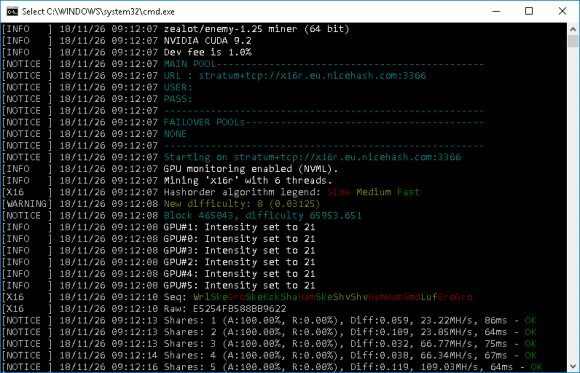 Definetly worth upgrading for the extra performance and there is also a bugfix that reduces CPU usage, so that can help as well to get better hashrate in some cases where the processor was overloaded previously. The latest z-enemy version 1.25 is available for CUDA 9.1, 9.2 and 10.0 for 64-bit Windows versions as well as CUDA 9.0, CUDA 9.1, CUDA 9.2 and CUDA 10 binaries for Linux (HiveOS, PiMP OS, EthOS & Ubuntu). Make sure that you have the respective recent video driver version installed for the CUDA version you want to use – 388+ for 9.1, 397+ for 9.2 and 411+ for CUDA 10.0, though 415+ is advised for the best performance. We remind you that z-enemy is a closed source miner available only as a binary release and it contains a 1% developer fee built-in to support further software development.